The program is being produced by Bell Media and will be directed by Neil's current partner, actress Daryl Hannah. According to Billboard, Young has reserved a number of venues across Canada and is expected to choose a final location later this week. 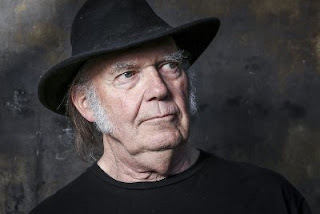 The Visitor, a new Reprise Records studio album by Neil Young featuring ten new songs, all written and recorded during the last tumultuous year and backed by his friends, the band 'Promise of the Real' will also hit the shelves and streaming sites on December 1.